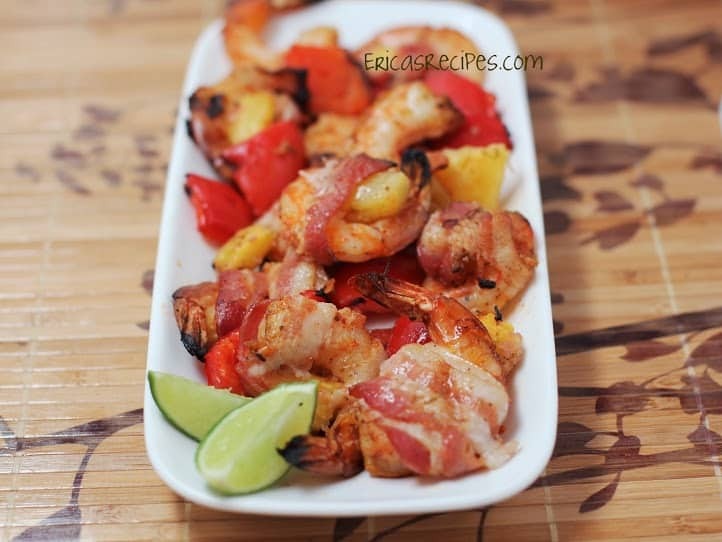 One day, I asked around at work for new dinner ideas, and shrimp with pineapple wrapped in bacon was one. This recipe below was the result that evening. Thank you Michelle for the idea! Preheat grill on high heat. Put the shrimp in a bowl and season with chili powder, salt, pepper, Old Bay, lime zest, olive oil, and lime juice. Toss to coat the shrimps well. Put the shrimp out onto a large cutting board. Put a piece of pineapple with each shrimp. 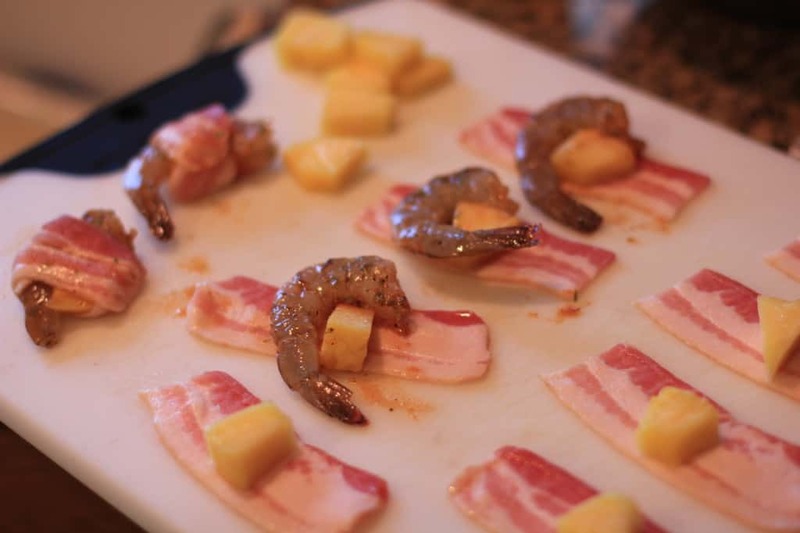 Wrap each shrimp-pineapple pair in a piece of bacon and skewer. Put a piece of bell pepper in between each shrimp. Leftover bacon can be wrapped around pieces of leftover pineapple and cooked as well. Brush skewers with olive oil to prevent sticking to the grill. Once grill is heated to ~450F, oil the grill grate - this step is important or the bacon will stick and everything will fall apart!! Add the skewers, reduce heat to medium-high, and grill 5-7 minutes per side until bacon is done and crisped on the edges. I've also made this adding a small slice of jalapeno in with the pineapple too - delicious!